Kurdistan was erased from the world's maps after World War I when the Allied Powers carved up the Middle East and denied the Kurds a nation-state. More than twenty million Kurds live in parts of Iran, Iraq, Turkey and Syria. Throughout the 20th century their struggles for political and cultural autonomy were opposed by the region's countries and the Kurds were often used as pawns in regional politics. The Kurds' plight most recently captured the world's attention in 1991 following the end of the Gulf War. 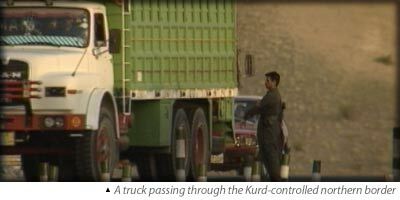 Television around the world showed images of northern Iraq's Kurds fleeing Saddam Hussein's Iraq through the mountains of Turkey and Iran. Since the 1920s, negotiations between Iraq's Kurds and the government in Baghdad have always broken down over issues of Kurdish independence, and the Kurds' wish to control the oil-rich city of Kirkuk and to have their own militia. He is one of the veteran U.S. diplomats in the Middle East. He describes America's treatment of the Kurds as "one of the most tragic episodes in our nation's history." He is Deputy Prime Minister of the Kurdish Democratic Party and one of four Kurdish leaders who joined the Iraqi government in 1970 after the Kurds negotiated a power-sharing agreement with then-Vice President Saddam Hussein. He talks about U.S. betrayals and the Kurds' continuing skepticism about U.S. support. He is a leader of the Patriotic Union of Kurdistan, one of the two largest Kurdish opposition groups in Iraq. This PBS Online Newshour Forum with Dr. Salah Aziz, an Iraqi Kurd by birth and director of the Kurdish Studies Program at Florida State University, offers a primer on the Kurds' story, examining questions such as: 'What is the role of the Kurds in Middle East dynamics?' 'How has the history of Western policy toward the Kurds affected the present scenario?' The Newshour site offers related background news reports and web sites. "The Kurdish issue at its core is simply this: A people with a distinct ethnic heritage aspires to control its own ancestral domains, and to be recognized as a nation-state in the modern world." But there is nothing simple about the fate of the Kurds. In this pointed historical overview (with map), Vera Saeedpour, a longtime monitor of Kurdish affairs, tells of: the rise and fall of the ancient Kurdish empire; the carving up of Kurdish lands after the 20th century's world wars; the chronic strife between Kurds and Turkey, Iraq, Iran, and Syria; a series of betrayals by the United States over the last several decades; and the current factional infighting among Kurds themselves that is perhaps as serious a threat to their future survival as any. In another pointed commentary, Katherine A. Wilkens of the Center for International and Security Studies, dissects the failings of two U.S. administrations to make good on promises to help the Iraqi Kurds after the Gulf War. Who are the Kurds? And is there a solution to their enduring conflicts? This transcript of a National Public Radio "Talk of the Nation" 1996 broadcast offers background on the Kurds, as well as discussion among several experts who put the Kurds' current plight in the region in a broader political and historical context. This site offers a range of information on this Kurdish opposition group including its history and goals, its leader Jalal Talabani, and related background information and updated news stories. This site of the other main rival Iraqi Kurdish faction , the KDP, has a collection of information on their history, leaders and goals.